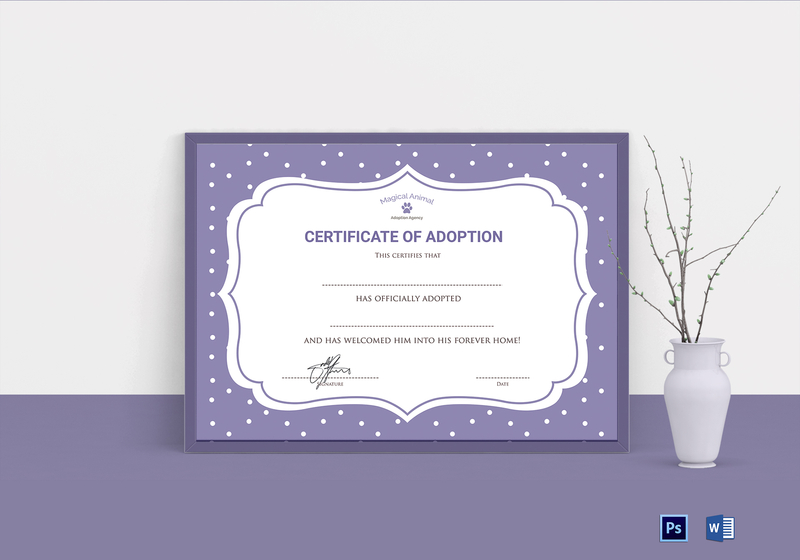 Use this expert designed cute layout for your Official Adoption Certificate & personalize it with your cute anumal's details and images. Download and Print with high quality graphics & images. 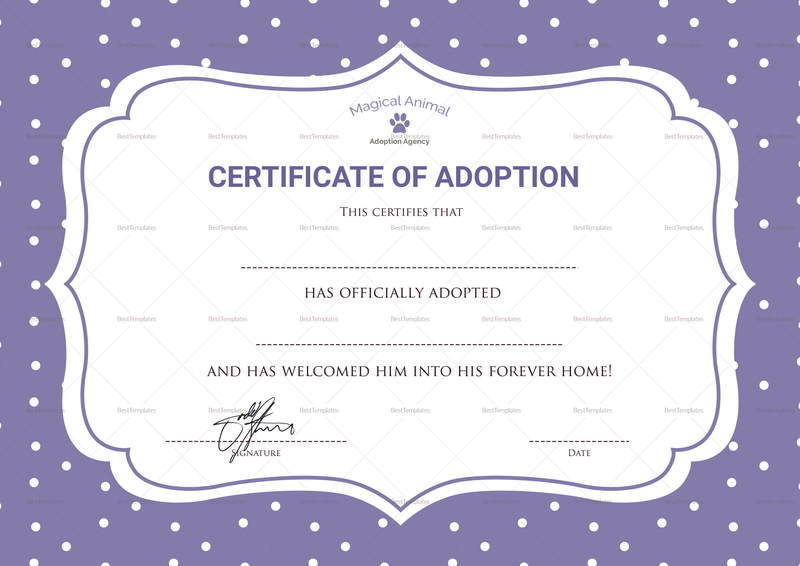 Get this template now and print at home or send it for commercial printing. Share it digitally as per your want.